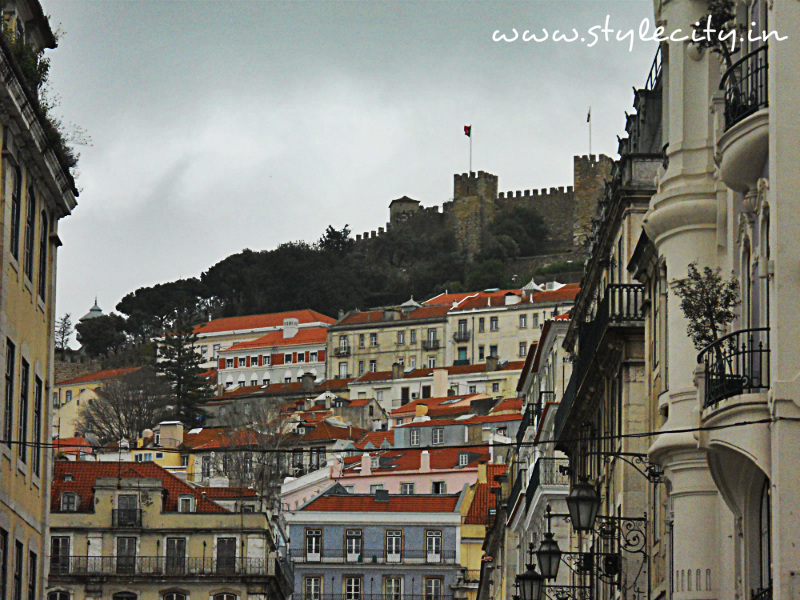 Walking through the streets of Portugal is like being transferred back into an old historical town straight out of a classic novel. 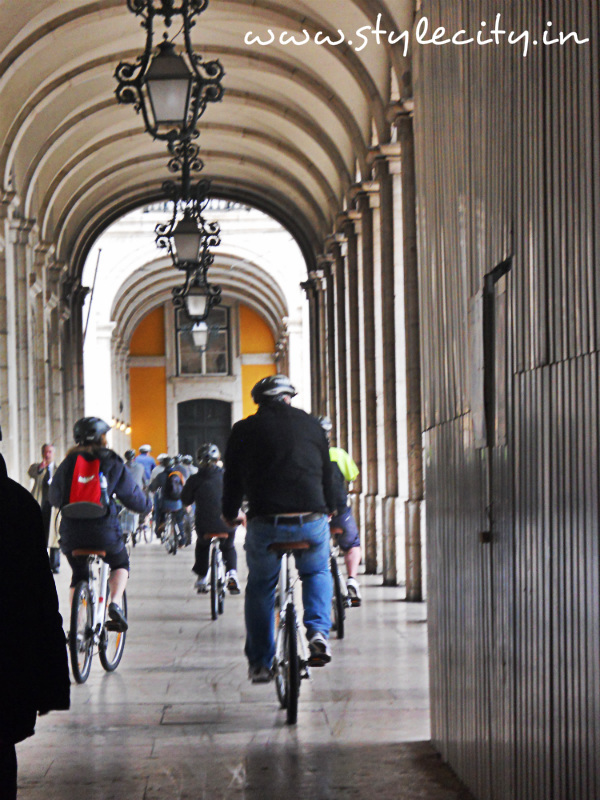 Some of the world’s greatest explorers originated from Portugal and as you walk through this picturesque town of Lisbon, time stands still; you are met with vintage trams, medieval village like areas and really old restaurants and buildings. Here is a photo-essay of my recent trip to this charming European capital. 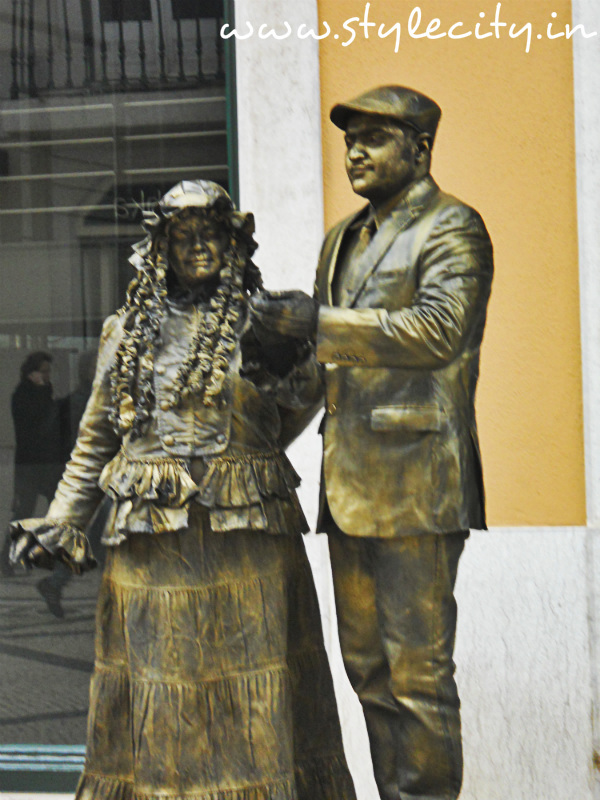 A view of the city from the City centre, along with street art (the couple is painted as bronze statues) and cyclists riding through the city. 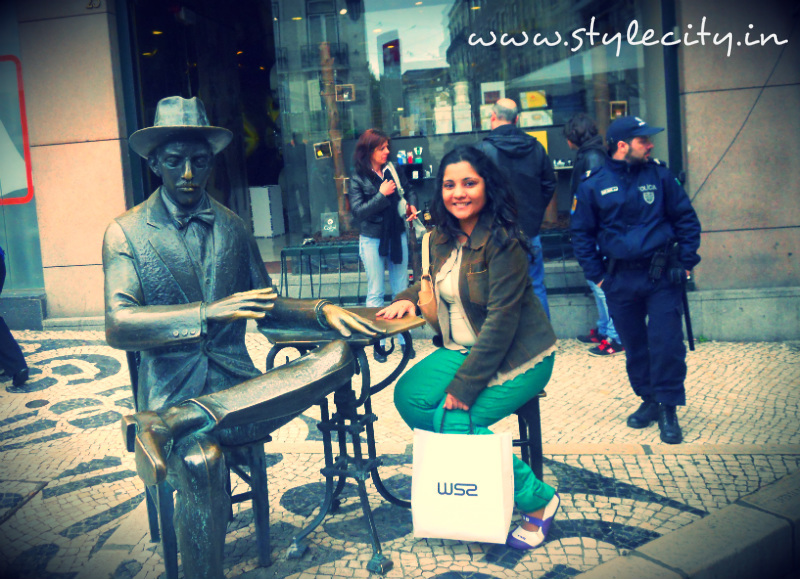 Cafe ‘A Brasileira’ terrace in Lisbon (Rua Garrett 120) with statue of Poet Fernando Pessoa who was once regular customer. His table in bronze was created by Lagoa Henriques. 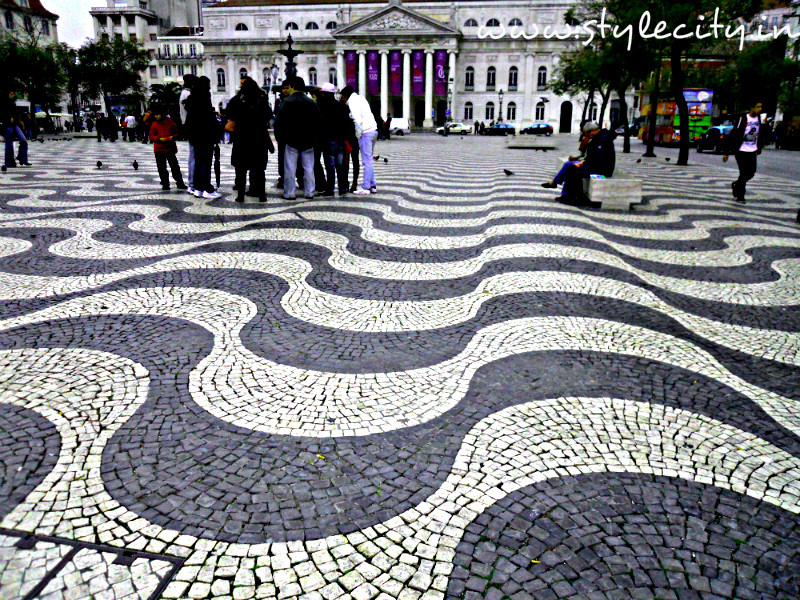 Also the cobbled streets at Rossio Square look like waves, even though they are straight. 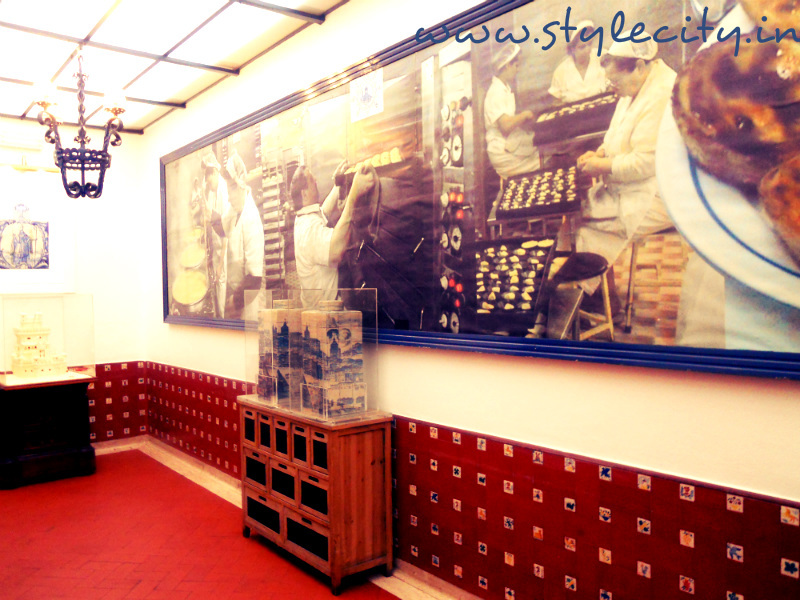 One of the nicest shops I have seen in the longest time is A Vida Portuguesa. 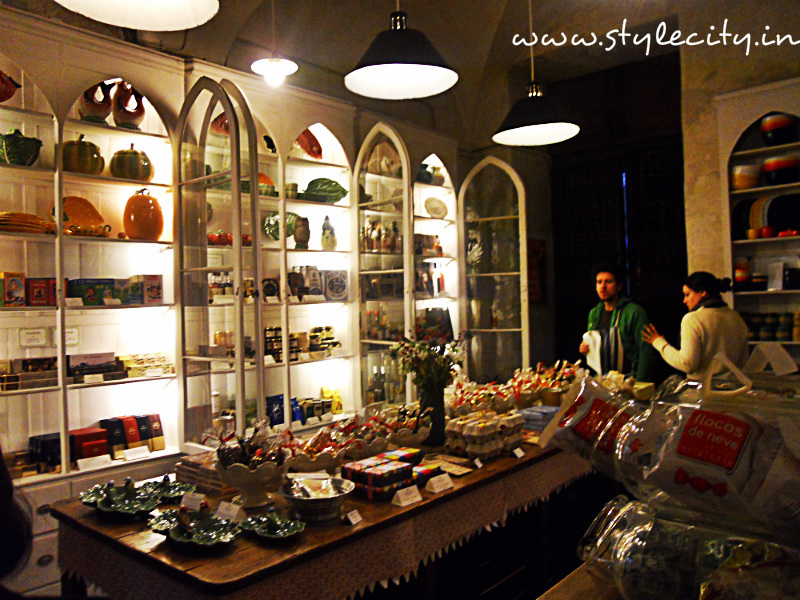 I loved this charming store where they have searched through the country for products created and fabricated in Portugal. Products that have been handed down through generations and retain the same original, beautiful and naïve packaging. 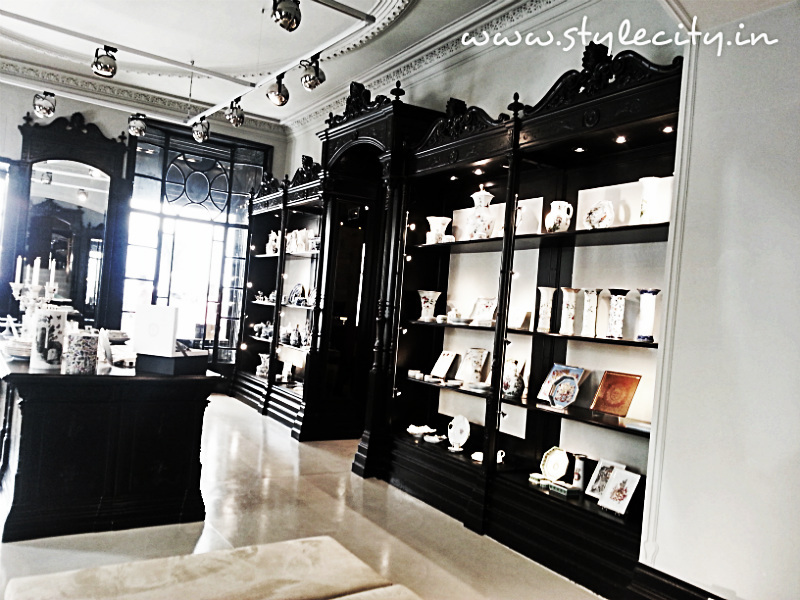 This is exactly how I imagine StyleCity store to be like, so my definite Style Pick. Another store which I really liked was the Porcelain store Vista Alegre Atlantis which besides some Portuguese products also had the Christian Lacroix porcelain collection. 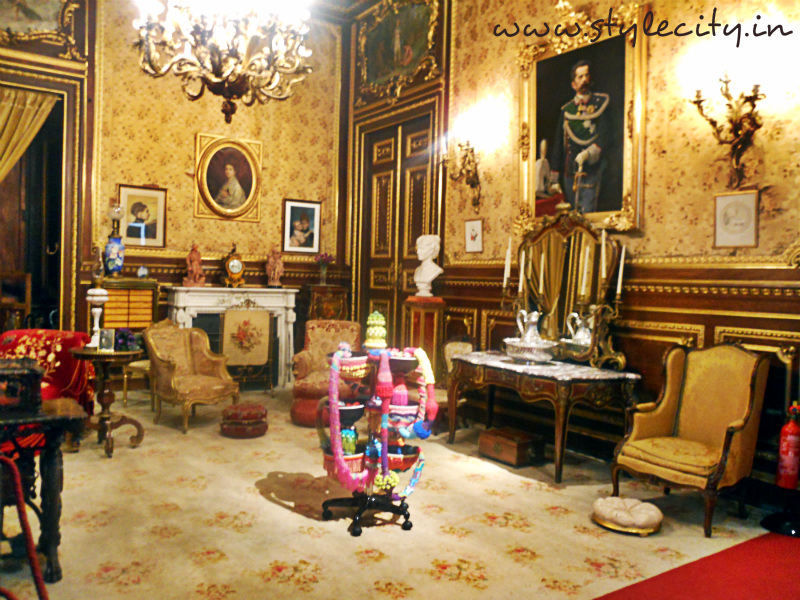 Ajuda palace which was never completed as planned due to exile of the royal family but is yet filled with extravagant decorative art, furniture, statues and chandeliers. It also hosts various exhibits and I managed to get visit the exhibition by Lisbon-based artist Joana Vasconcelos, which was held at Versailles before this and I had mentioned earlier. Then of course Jerónimos Monastery, final resting place of Vasco Da Gama and the wide variety of museums. Finally A taste of Portuguese Sweet Tradition “Pasteis de Belem” which started in n1837 as a secret recipe from the monastery and continues unchanged till present day. Posted on April 2, 2013 November 28, 2013 by AparnaPosted in Photo Essay, Travel, UncategorizedTagged Europe, Jerónimos Monastery, Joana Vasconcelos, Lifestyle, Lisbon, Portugal, Travel, Vasco Da Gama, Vintage.